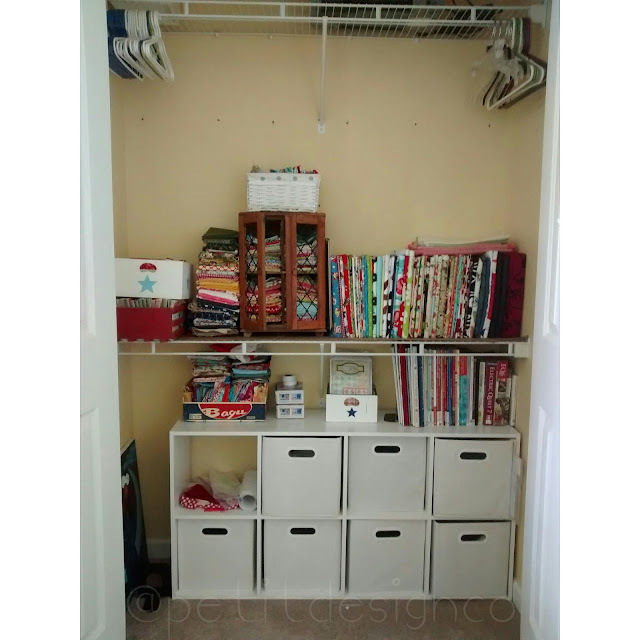 I finally got around to finding a place for everything that belongs in my new (temporary) sewing room. There is *just* enough room in here for the basics, barely. In fact I have to crawl under the machine to get to the back side if I want to do any pantos. Good thing I'm in such good shape right now! The custom shelf set up under the machine is perfect for storage. My husband put that together for me when I first bought the machine. 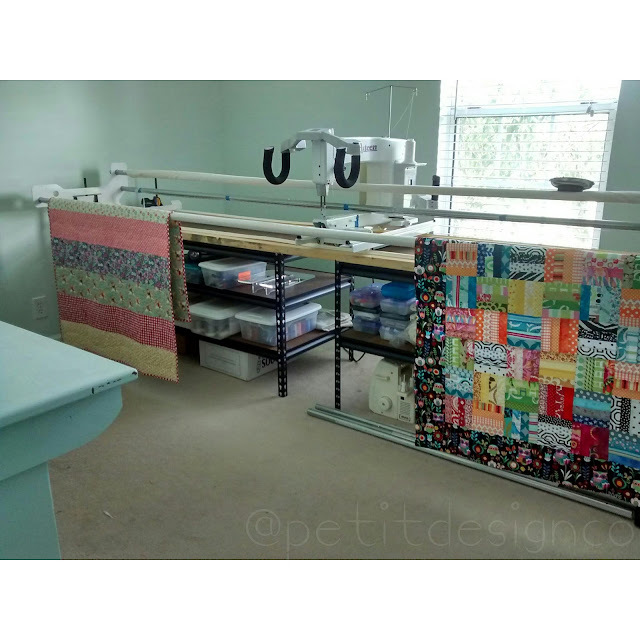 On the opposite wall I have my Brother 1300 which is my preferred machine for piecing and sometimes I quilt on it. The other desk is for my laptop where I will, hopefully, spend lots of time designing and writing patterns. The closet is pretty full. I'm thinking we could probably add another shelf in there. As you can see I did not paint the closet. The paint was actually in perfect condition. I didn't have any aqua left anyway. I really like it with the blue though, it looks very cottagey. For now if I want to cut and press I can set up a folding table in front of the closet or do that in another room. I guess it will depend on the project and whether my 3 year old is home at the time. Well now it's ready to be broken in and made into a mess! First up on my list is that cute and colorful baby quilt hang in on the right side of the frame. So nice and clean. 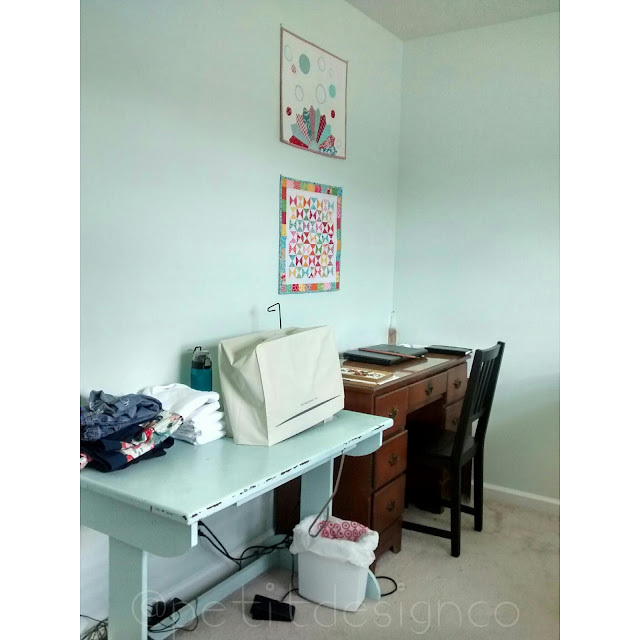 What a terrific sewing room. It sure doesn't take long to mess up such a neat room.